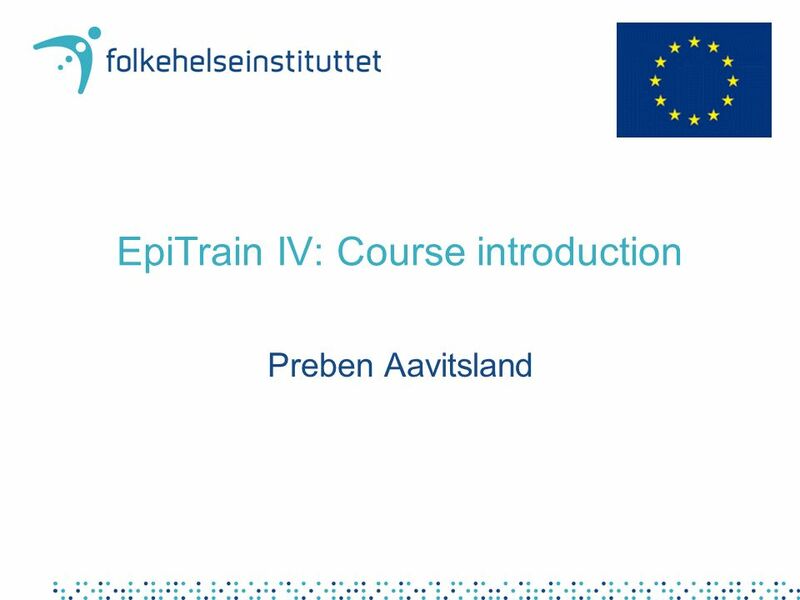 EpiTrain IV: Course introduction Preben Aavitsland. 3 Teaching methods Demonstrations –Key concepts and procedures –Time for questions Individual, assisted work with a PC –A lot of assistance in English и по-русски –Using constructed datasets Group-work using a PC –Five groups of 6-7 –Constructed datasets –Facilitators will be available –Two large assigments throughout the week Surveillance data Outbreak data –Presentation on Saturday Written material and CD-ROM Schedule somewhat flexible! 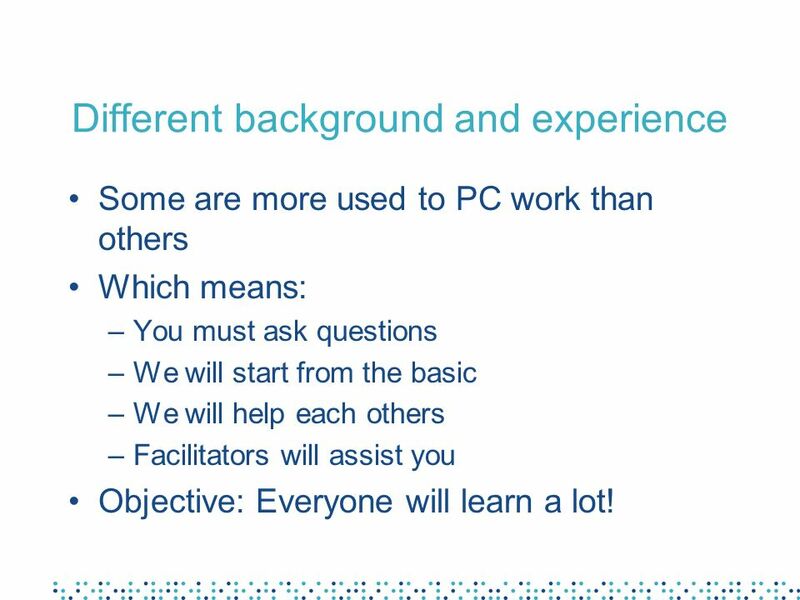 12 Different background and experience Some are more used to PC work than others Which means: –You must ask questions –We will start from the basic –We will help each others –Facilitators will assist you Objective: Everyone will learn a lot! Download ppt "EpiTrain IV: Course introduction Preben Aavitsland." Communication – 2: Presentations. Graphics. Design. Preben Aavitsland. 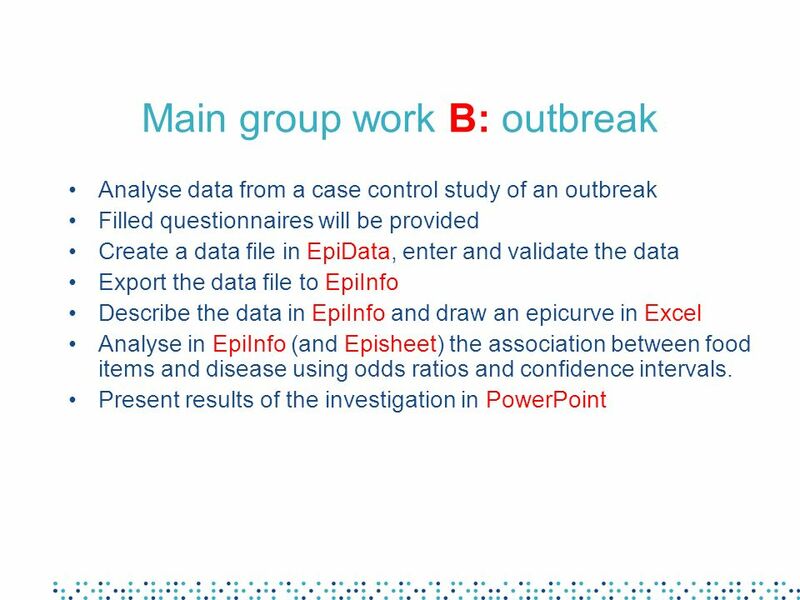 Outbreak investigation report Agnes Hajdu EpiTrain III, Jurmala, Latvia Based on EPIET material. 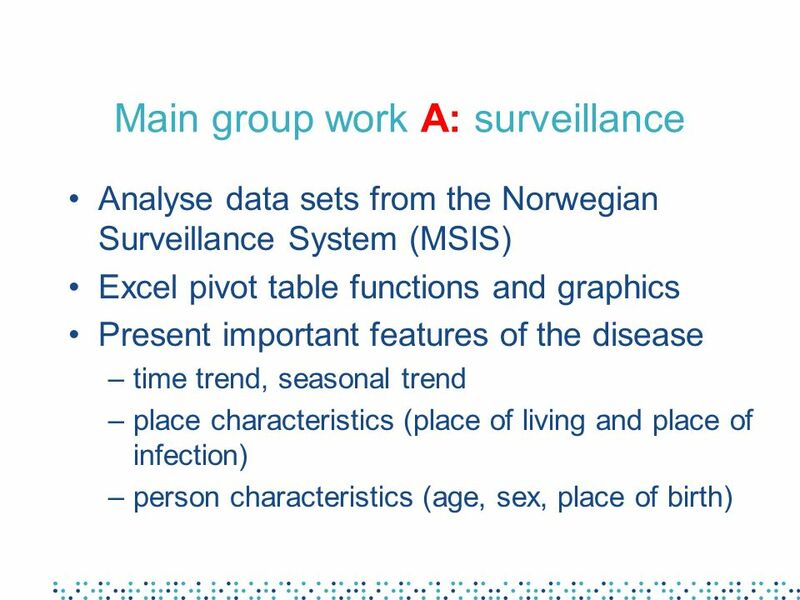 Epidemiological surveillance of HIV infection & AIDS in Europe Advanced course in epidemiology of infectious diseases EpiTrain II - Tallinn, Estonia, 7. Case-control study 3: Bias and confounding and analysis Preben Aavitsland. 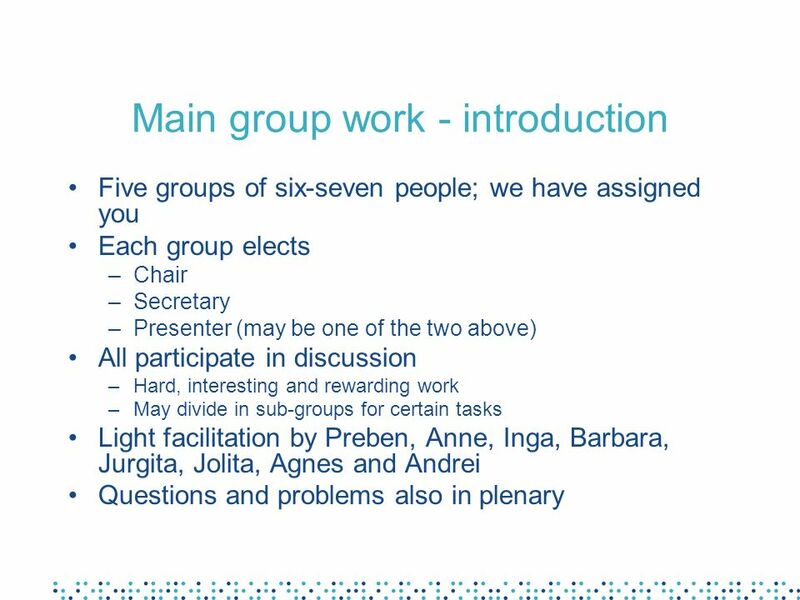 Tables, graphs, and diagrams Barbara Schimmer Jurmala, Latvia, 2006 Based on EPIET material. Course introduction Preben Aavitsland. 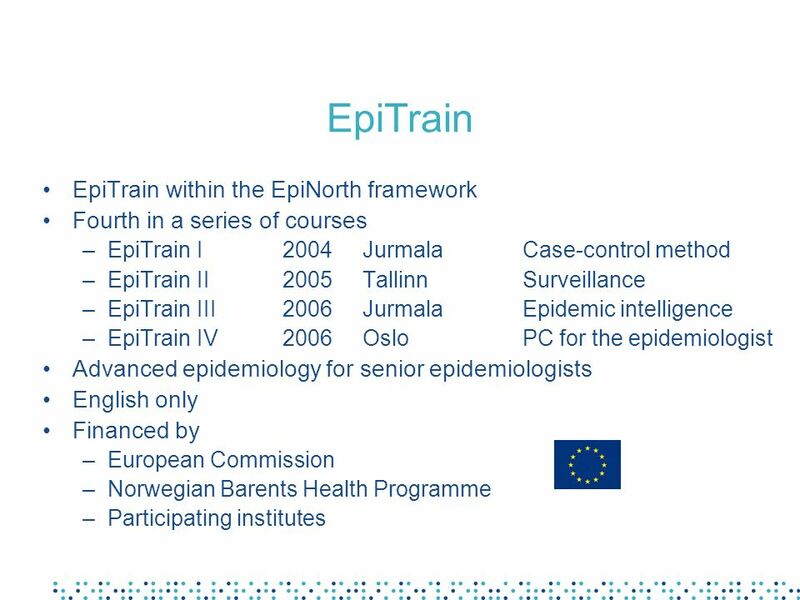 EpiTrain EpiTrain within the EpiNorth framework First in a series of three courses Advanced epidemiology For senior. Course introduction Preben Aavitsland. EpiTrain EpiTrain within the EpiNorth framework Second in a series of courses Advanced epidemiology For senior. 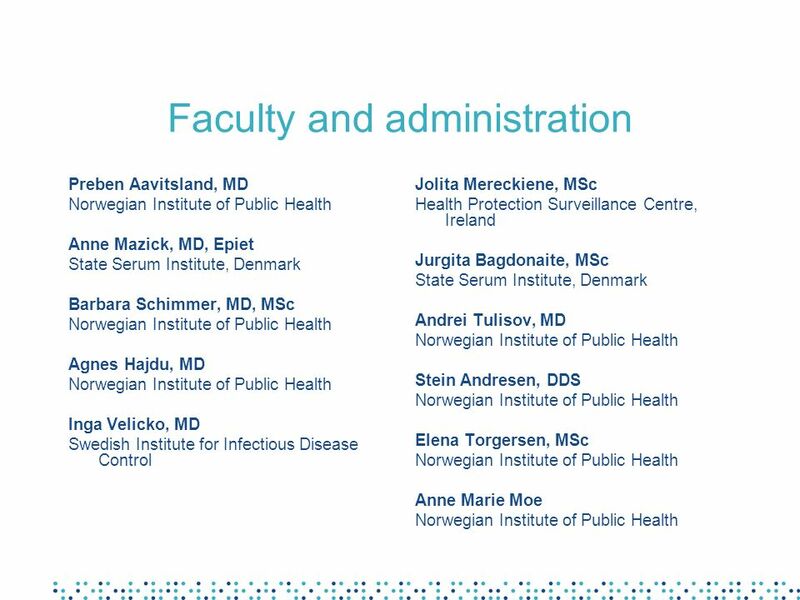 Course introduction Preben Aavitsland Department of Infectious Disease Epidemiology Norwegian Institute of Public Health at EpiTrain V, Vilnius, October. 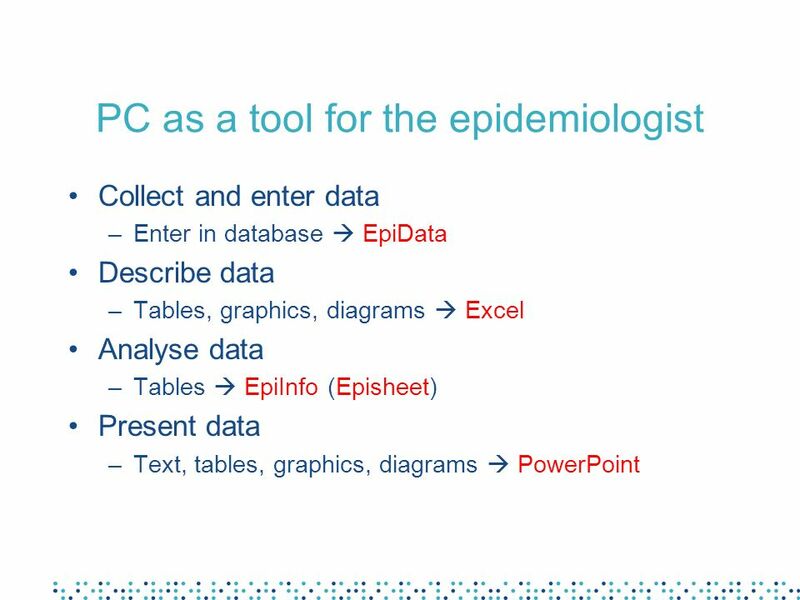 The epidemic intelligence meeting Katrine Borgen Department of Infectious Disease Epidemiology Norwegian Institute of Public Health EpiTrain V, Vilnius. 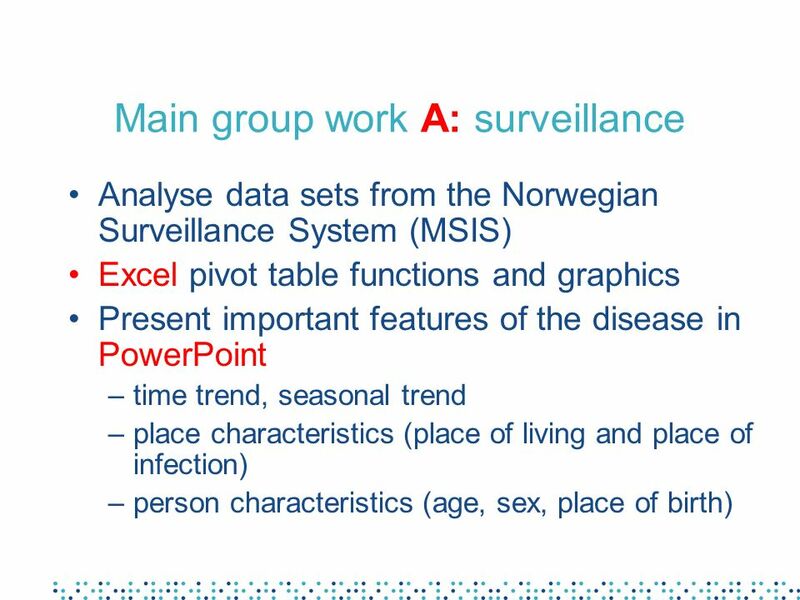 Two examples of European cooperation projects founded by European Commission`s Public Health Programme European Surveillance of Sexually Transmitted Infections. The collaboration in Northern Europe continues; EpiNorth Stein Andresen Department of Infectious Disease Epidemiology Norwegian Institute of. 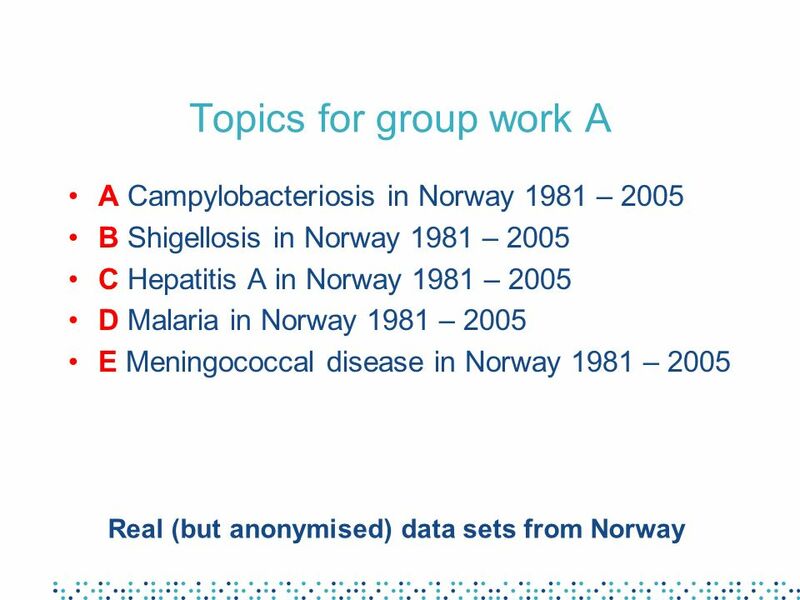 EpiNorth Stein Andresen Department of Infectious Disease Epidemiology Norwegian Institute of Public Health 29 October 2004. 1 Designing a training programme Module 6 Sessions 9&10. How to Create a Non-Course Survey Presenter: David J Neiss CoursEval Implementation & Support Specialist.